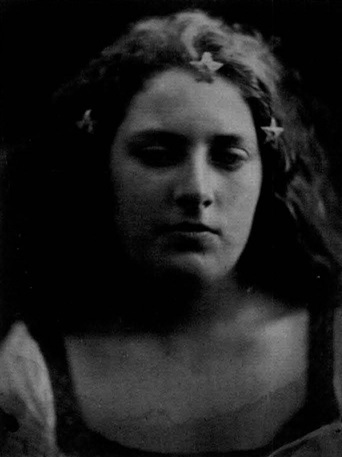 Julia Margaret Cameron wrote a sad letter to William Michael Rossetti at the beginning of 1866 - 'for the first time in 26 years I am left without a child under my roof - but they are all doing well and struggling to improve and I must not grudge the sacrifice of their sweet society.' Her daughter and sons had all grown up and left the house, but Cameron's love of children (and being needed by people) plus her constant search for models made her open to adopting children of friends who were in need. First among these were the Wilson children, Cyllena, Alfred and Melita. The Wilson family were an interesting lot. 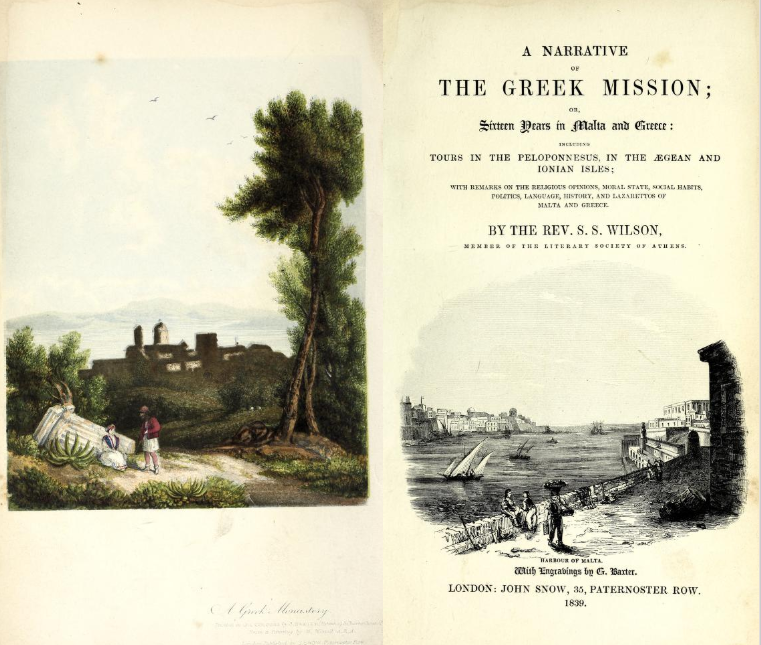 Grandfather of Cyllena was a chap called Samuel Sheridan Wilson, a missionary, minister and translator of the New Testament in to modern Greek. He was the author of many books about his travels around the world (including the one above), spreading the Good Word with his wife, and their many children were born on various of their travels. Arthur Michael Wilson was one of their middle children, born 1826 in Malta. He, in turn, married the wonderfully named Cyllena Butters from Devon (of the Devon Butters, sorry I couldn't resist), in 1850. Their children, Cyllena Margaret, Melita Emily and Alfred (who missed out on the name front, to be honest) followed in the decade that followed, but then disaster struck. In swift succession, Samuel Sheridan, Arthur, and his wife Cyllena died, leaving the children orphaned and without any other family to go to. Luckily, Julia Margaret Cameron had been a friend of Samuel (was there a man of letters in England that she wasn't friends with?) and opened her house and heart to the three little Wilson children. 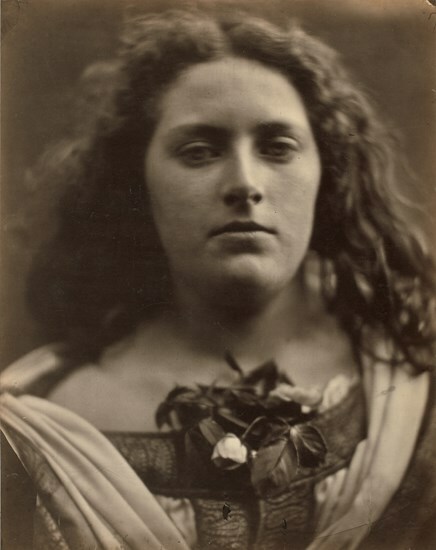 Cyllena's broad, beautiful face was a wonderful companion to Mary Hillier, whom she sat with in a few photographs, but the subject matter both girls interpreted was very similar - beautiful, decorated women or holy maidens, all with long, flowing hair. 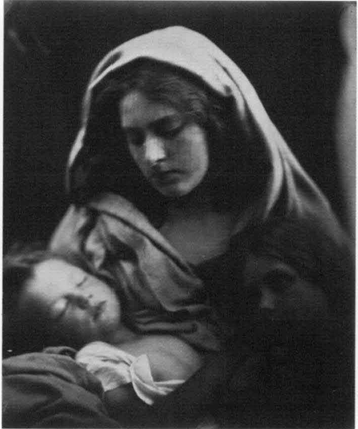 This, for example, could be easily be Mary Hillier, posed with the Keown children, but somehow (probably due to prior knowledge) I can't help thinking that Cyllena never looks as serene as Mary Hillier. There is something of the impatient about her, restless and wondering. For Cyllena, posing was a torture, sometimes a little too literally. 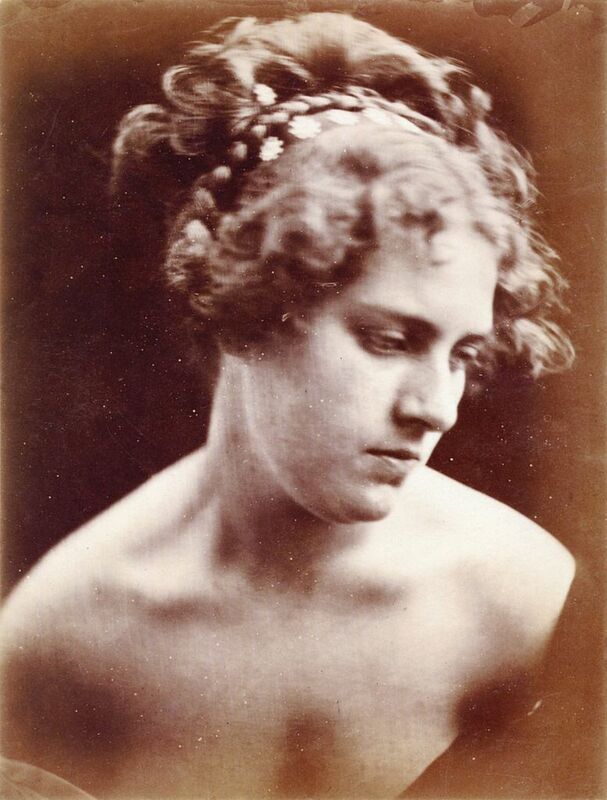 In order to make her model fully express despair, allegedly Mrs Cameron locked Cyllena in a cupboard for two hours. 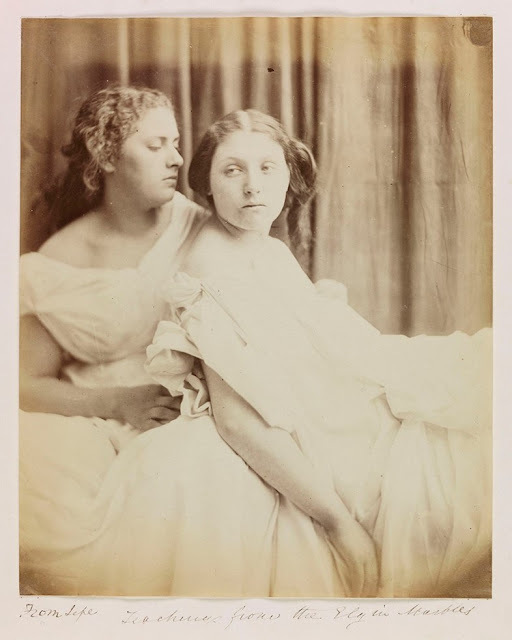 The posing, pausing and waiting was all too much for Cyllena, who obviously had some of her missionary Grandfather's wanderlust in her blood. She ran away from Freshwater, getting a job as a stewardess aboard the Parana, sailing for New York. On reaching America, Cyllena married John Williams, apparently the first engineer on the Atlantic liner, and returned to her husband's family in Falmouth, where she appears in the 1871 census. Sadly, by 1881 she had been widowed, but the couple's children are listed in the 1881 census. The family lived at Mylor in Cornwall, not far from her husband's family in Falmouth. Her son Wilson had been born in 1874 and daughter Edith was born in 1879 which suggests that John Williams had died in the couple of years preceding the census, not before. 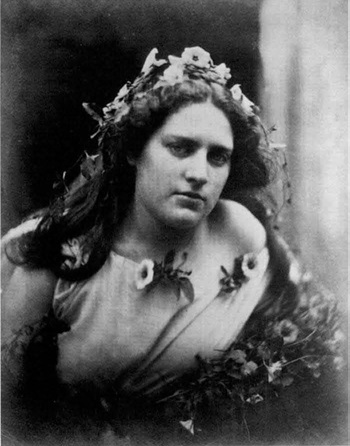 There is a story that Cyllena roamed the world, and married twice more after her first husband died, but I can't seem to find evidence for that and seeing that she died (according to stories) in 1883, it's hard to see when she fitted in two extra husbands, but then I can't quite see a more boring version of events either as all records seem to be elusive for that time. 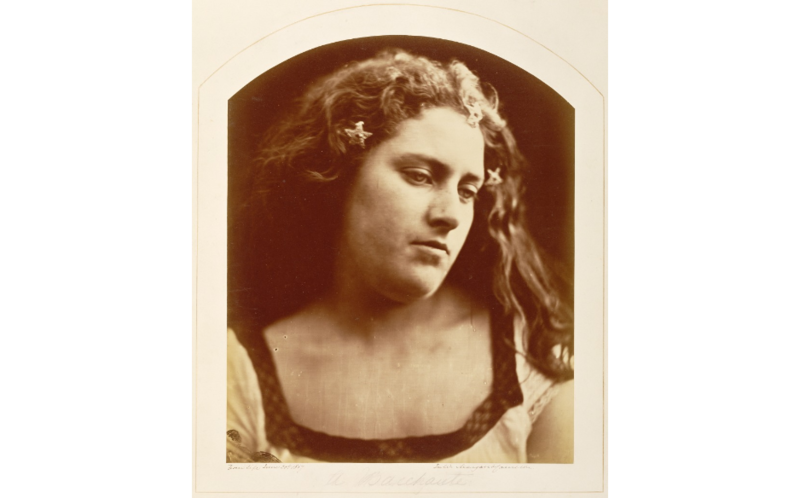 Starting with what we are told in Julia Margaret Cameron's biography, the ever-adventurous Cyllena set off for Argentina on either the 'Van Dyck' or 'La Plata' and came a cropper of yellow fever, dying in 1883. Her children might give us some hints to what happened. 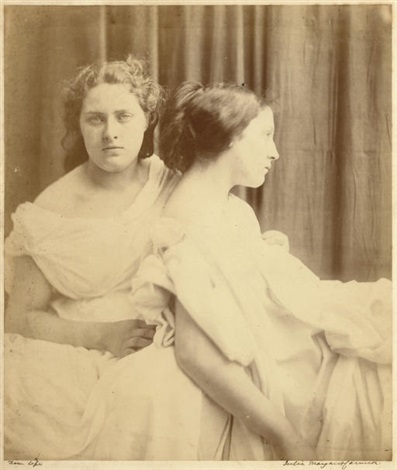 In 1891, young Edith and her brother were enrolled in the Reedham Asylum for Fatherless Children in Surrey, but both set off for America shortly afterwards (there's that wandering Wilson spirit again) where both had long and happy lives, I'm more than delighted to tell you. More work needs to be put into Cyllena, but I can't help but admire her adventurous and independent spirit and no matter what misfortunes befell her, she still had a cracking knack for survival. One of the most beautiful images of Cyllena is 'Vectis' where she personifies the spirit of the Isle of Wight, ironically the island that could not contain her wandering spirit.